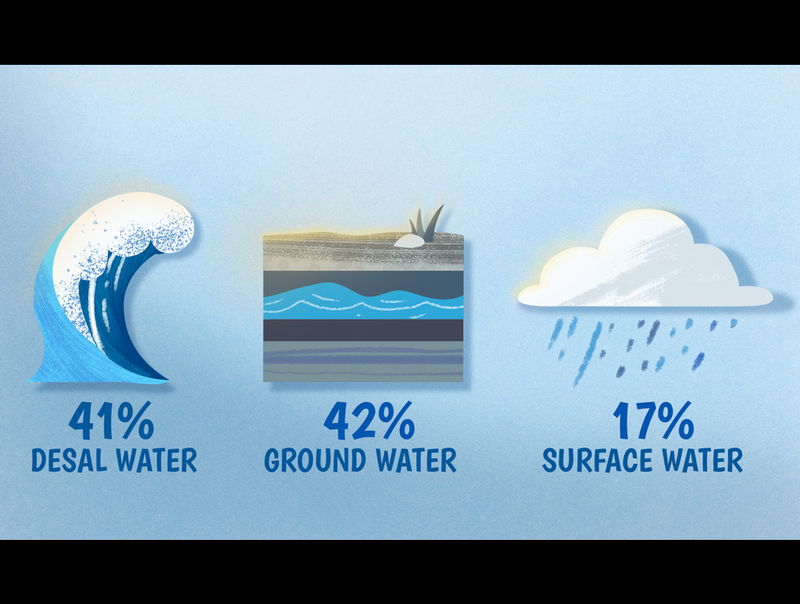 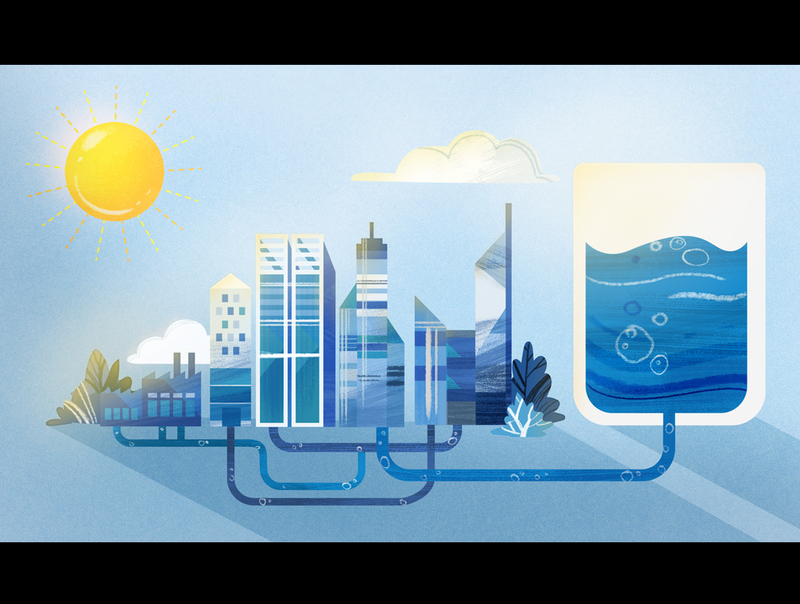 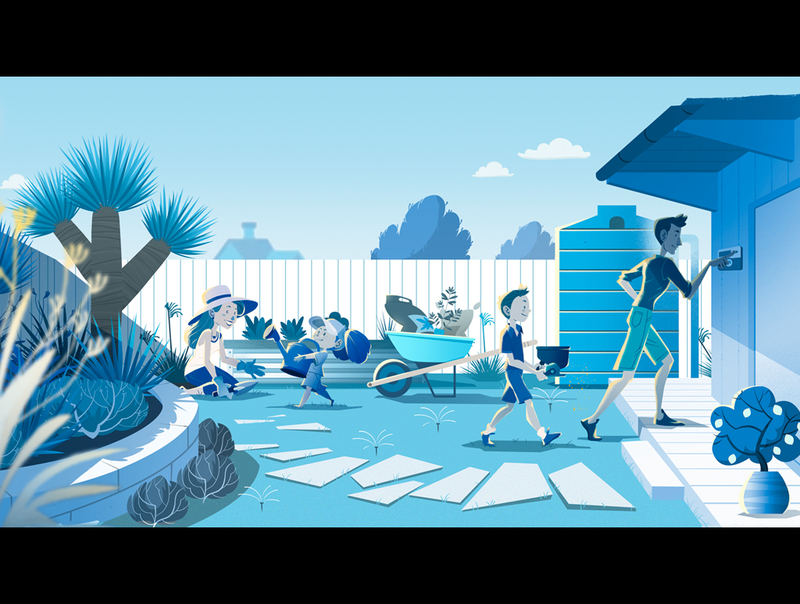 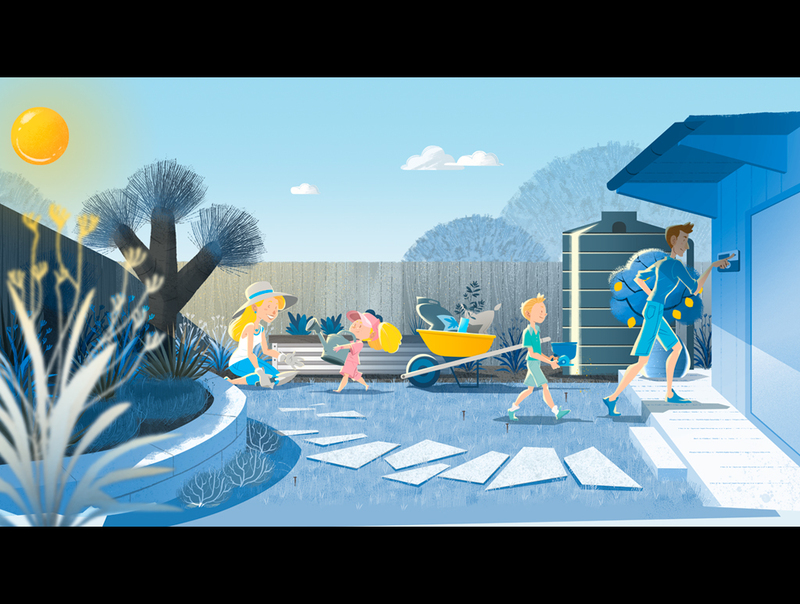 A character and environment style was created for the Water Corporation ‘Stay Waterwise WA’ Campaign. 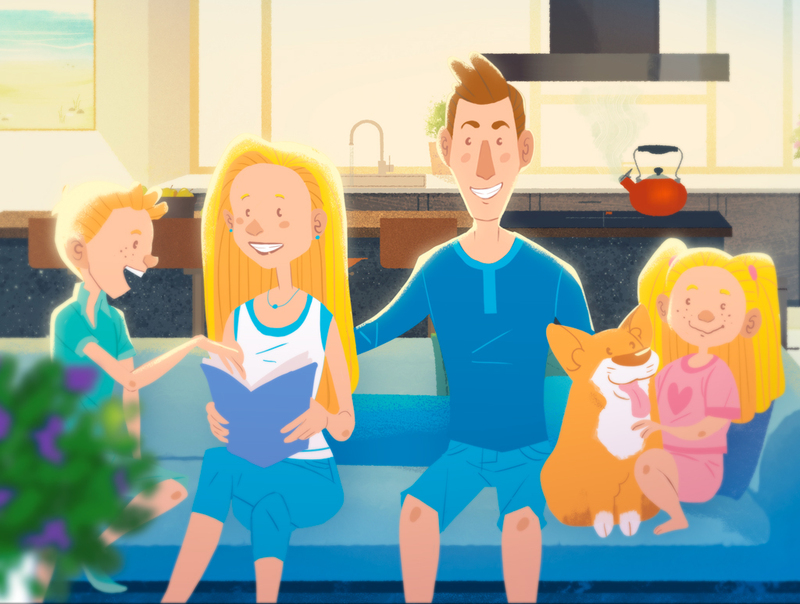 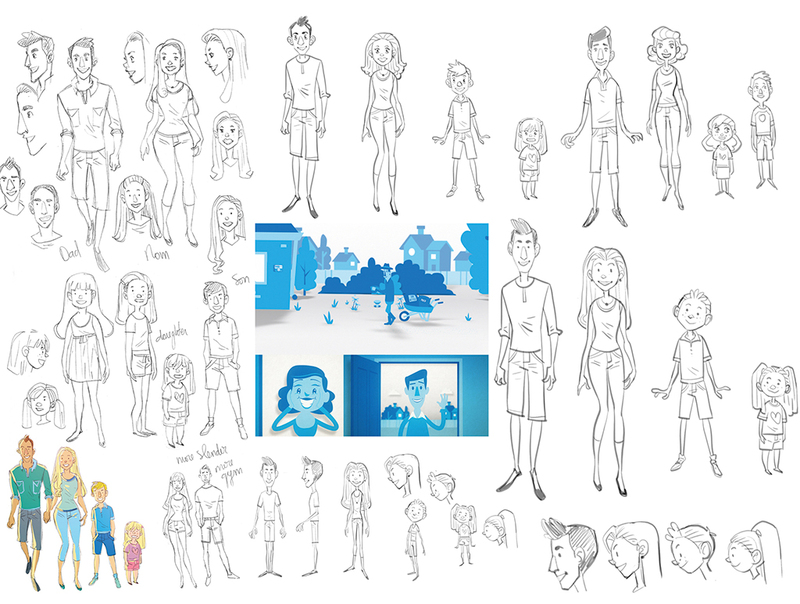 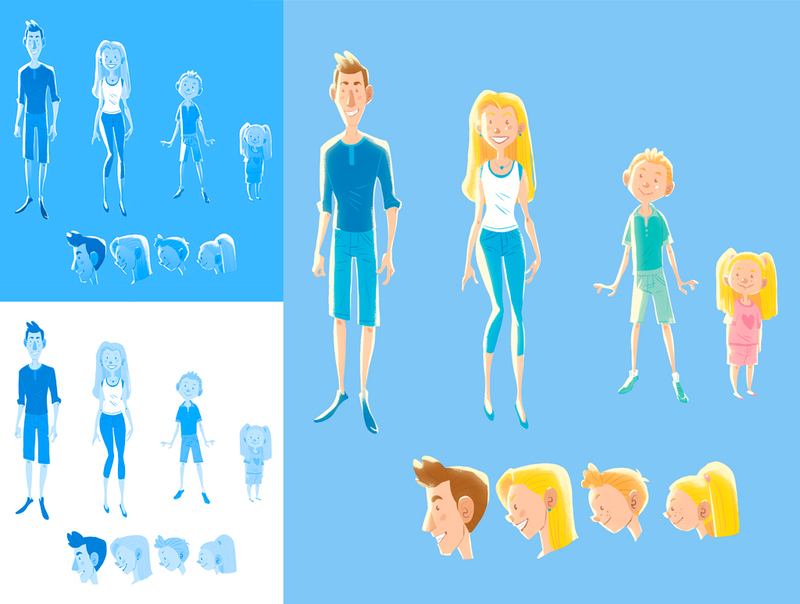 The characters had to reflect a typical Perth family and needed to be treated in a vector style that could be easily adapted for print. 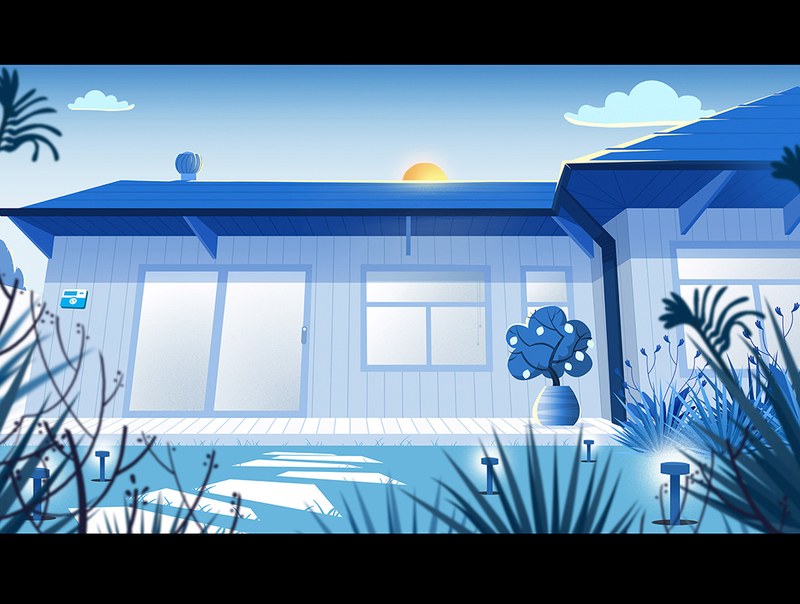 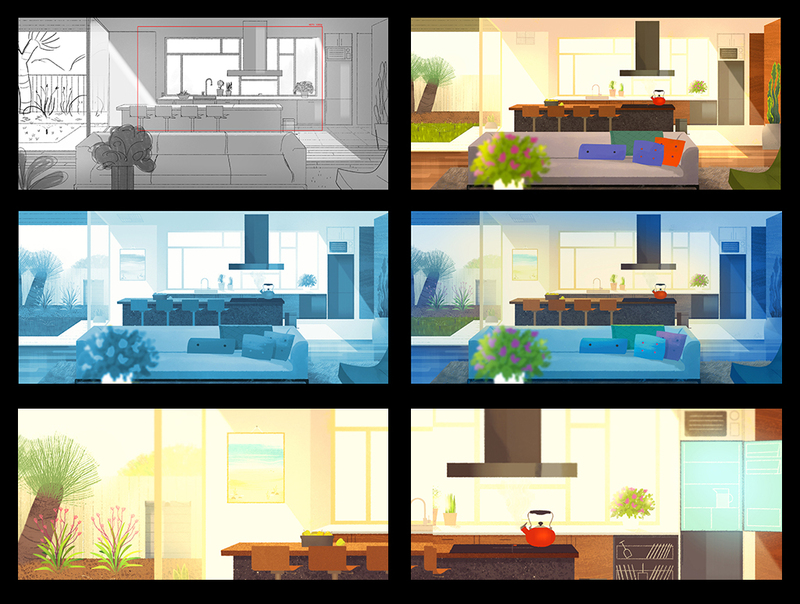 The characters were animated in flash and combined with After Effects to give the environments a layered 3d look.